American Standard | MAKR x Horween | A Continuous Lean. I love it when good things come together; a great designer, an esteemed 100 year old American tannery and the most handsome of leathers, Shell Cordovan. 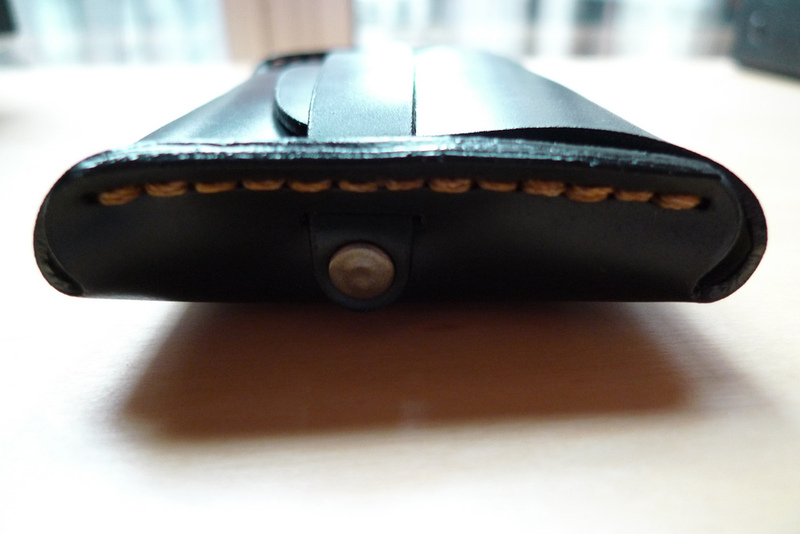 That is exactly what arrived in my mailbox last week, a Makr flap wallet made from 100% Horween Cordovan. If you aren’t familiar with Horween, the Chicago-based family-run operation one of the last surviving tanneries in the United States and producer of some of the finest leather goods the world over. I feel privileged to carry such a beautiful piece of American design from a talented young company and a respected institution. Makr leather goods are available in genuine Horween Shell Cordovan by special order. Read my Q&A with Makr founder and designer Jason Gregory here. Lovely in images… and in person. That is a nice looking wallet. Give me a quick email if you ever tire of it. beautiful; is it a dark blue? I need to stroll over and check Horween out…thanks for the tip! That video is amazing indeed. Thanks for sharing. Do you have contact info for Makr? I can’t find it anywhere on their site, and I would like to get a piece done up in shell as well. Anyone can either email me at Jason@makr.com or call for more info 407-284-0192. Production times really depend on what Horween has in stock. The blue one is fantastic! I have a feeling if I bought that thing I wouldn’t have anything left over to fill it. Love the stitch thread color. Just found this blog and I adore it. I am now in love with things I cannot afford. I suppose there are worse fates. Awesome. I’ve had a Makr wallet for about a year now and I absolutely love it. It’s held up fantastically so far, I expect many years of use. You can tell it is something special when even the packaging box looks good. Makr wallets are indeed great. Tracey, if they’re too rich for your blood, you can’t go wrong scouring craft fairs. There are lots of solo leatherworker guys out there. Their designs are usually not as nice as Makr’s but the craftsmanship and materials are excellent. Another thumbs up for Makr. My first wallet from them was damaged in shipping and Jason took care of it quickly. The wallet is wearing beautifully so far. Jason–any chance of a small run of simple leather keychains? Hi Michael, I would have guessed that shell in the rear pocket might stain a bit. Is this not a problem?